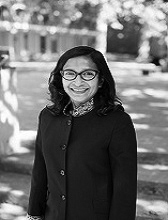 Bidisha Biswas is Professor of Political Science at Western Washington University. In 2012-2013, she served as a Franklin Fellow policy adviser to the United States Department of State. Bidisha works on international security, diaspora and immigration related issues. Her recent book publications are Managing Conflicts in India: Policies of Coercion and Accommodation (2013, Rowman and Littlefield) and Indian Immigrant Women and Work: The American Experience (2016, Routledge). Biswas has taught courses on terrorism, civil wars, American foreign policy and democratization. Her publications on pedagogy can be found in PS: Political Science and Politics.